Description: When his castle is exorcised, Dracula plots his revenge against the Monsignor who performed the rites by attempting to make the holy man’s young neice his bride. Tagged 1960s, English, Hammer, High Definition, UK. Bookmark the permalink. THIS!! Is!!! Sir Christopher Lee!!! Man, when I was in 8th grade, our principal–in saying “Thank You” to his students–called an all-school assembly and turned the auditorium into a Movie Theater…showing THIS!! In all it’s eye-popping glory. 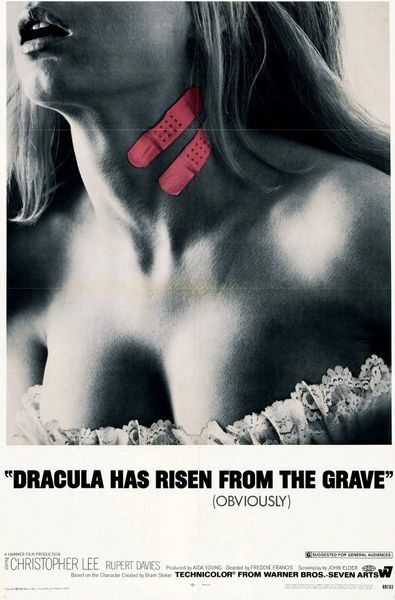 Dude set us all off with this movie, because it was Christopher Lee at his suavest, regal, Dracula-Best!! Thank You, Rarelust. Great movie, superb quality!!! The poster is hilarious, as for some comedy – yet the movie is nothing but.